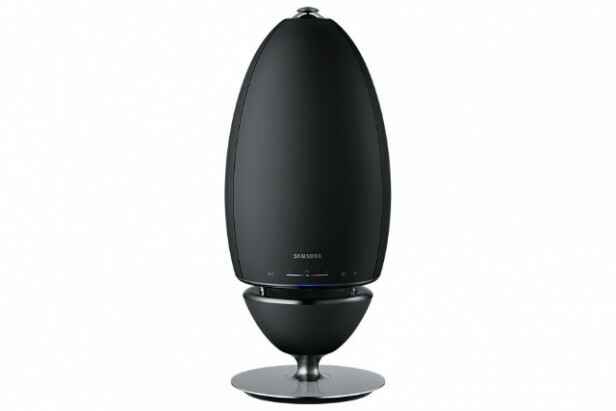 When the Samsung R7 was delivered, at first I thought to myself this looks like a giant egg on a stand. 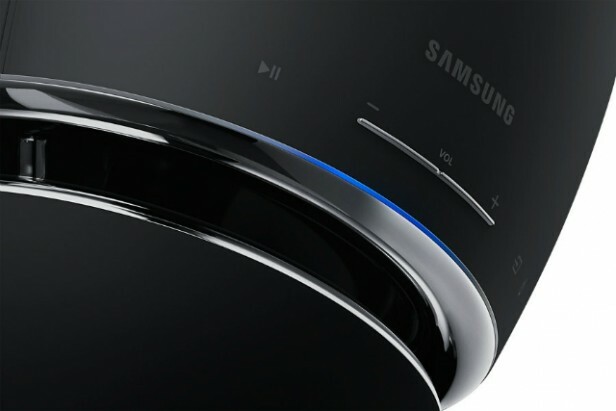 But according to Samsung, it is 'the ultimate in wireless omnidirectional sound' which 'plays any music, in any room in studio sound quality' and is 'the most flexible way to grow your audio system.' And so I was intrigued to test this egg out for myself. It looks like a futuristic egg/alien ship. I think it is pretty cool. Very modern and pleasing on the eye. It is something that will easily blend into the room, but will be the 1st thing that some visiting will notice. The entire R7 is a dark grey resin clad with a soft touch outer coating and is perched on a chrome base. But you don't actually see the speaker. Operating this futuristic device proved to be a little bit more of a challenge at 1st. There are no input ports of any kind. So no plugging in of an Aux cable or USB. Everything works wirelessly, which is pleasing on the eye, as you have no wires or cables all over. So the way to operate this speaker is entirely through the Multiroom App, which you can download on your Android or iOS device. Then you need to sync the speaker with the app which is all done wirelessly through either Bluetooth or through a wi-fi connection. (This may be the hard part of the entire process for most people I would believe. But the app does give you a step by step guide on how to go about it.) Once you have the speaker sync'd to your device, it is so easy to start playing your tunes via the app as it loads all your music on your device. This is where the fun starts. The speaker could be in the lounge and you are in the kitchen changing the songs or adjusting the volume using your phone. I really put this speaker through quite the range of musical genres. I was impressed. The quality of the sound coming from this device was incredible. The bass was just perfect when listening to Nicky Romero's latest tracks. The higher frequencies result in a good clear & open sound. The other cool thing is that this is essentially a omnidirectional speaker. Meaning that you can put it in the middle of the room and it blasts sound in every direction, even in a larger area, this speaker did not disappoint. So the average price for the Samsung R7 is about R 4,800.00 each. That is a pretty penny for the average guy out there.